WOW! What a weekend, friends! We three Englishes partook in the following socializing over these past few days: a forested, mountain-top (up on Cold Mountain, as in THE Cold Mountain) wedding with a creek-side, potluck reception on Saturday; a going-away party (with lemonade) to two lovely ladies who, as I type, are packing their moving van and setting their compasses west, towards Denver (I'll miss you so much, Schmegsy & Lele!!!! ); and hosted an impromptu brunch for, oh, 12 (!!!) close friends, our combined 5 children (and 1 on the way in August! ), and 4 dogs out here yesterday. Whew! And I loved every single minute of it! There was lots of groaning in gustatory delight, sweating under a not-even-yet-summer-but-already-scorching sun, witnessing of doggie hijinks and wee one antics, and participating in hearty laughter and storytelling and general revelry. I'm back at work on my next book today, while simultaneously prepping for Hubs' 44th journey around the sun tomorrow! Thursday witnesses our 4-year anniversary. What an amazing week it will be! Oh, and stay tuned for more giveaways. I've picked up a slew of new, gorgeous books recently and they'll be yours for the taking in the upcoming weeks! *The photo of we three Englishes was taken at the above-mentioned wedding in front of the Pigeon River. I've been pining to wear this vintage-inspired (but new!) dress ever since I purchased it whilst prego. My hat belonged to my grandfather, one of two straw-brimmed hats of his I wear all summer long. Huxley was sporting his first ever blazer and being a general attention hog, while Hubs was looking so fly, per usual. 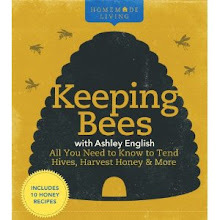 A HUGE thank you to Pure Green Living magazine for featuring my book series in their current issue. I'm on pages 100-101 (you can turn the pages by clicking on the arrows in the middle of the pages). Based in Canada, this publication is imminently inspiring and so, so beautiful! Have you noticed how much longer the days are getting? We don't lock up the chickens until close to 9 o'clock these days! I find myself thinking lately about something that recently happened and then realizing that, wait, that happened only earlier today! Some slow-growing, slow-moving scenes chez English. A lovely fig tree Mother's Day gift from Hubs (I have BIG plans for a fruit & nut orchard on the 1 1/2 acre down the hill from the house that we refer to as "the lower field"-it's where we were married!). Buds on the lavender bushes that flank the arbor in front of the house. Abundant wineberry canes and green grass 'a plenty. Strawberry hanging baskets (we have 5 attached to the house). Cats and dogs and Crocs and coleus to welcome you. I've been asked lately for details about the current book I'm working on. 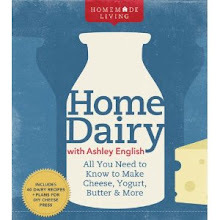 While I've been expressly asked by my lovely editor (and buddy) Nicole to keep mum on the specifics, suffice to say: 1) It's not part of the "Homemade Living" series (although I hope there are more of those on the horizon! ), and 2) It's about food, my abiding passion. Oh, and, 3) You'll love it. I wish I could tell you more! I promise to, soon as I get the green light. Enjoy these lengthy stretches of golden sunlight!!! Or rain, if that's your lot, because, really, rain is the spoonful of sugar that makes the medicine go down, you know? Ashley, over at Life of a Little Woman, lucky number #175, according to my random number generator widget. I'll be in touch soon for your mailing info. Thank you so very much to all who participated. I LOVE giving things away! Those of you who know me personally can attest to this. From clothing to housewares, scratch-cooked meals to generous hugs, I love sharing what I've got. We had some amazing fog and light out here in the cove this morning. I hung Huxley's diapers up to dry and enjoyed the ethereal glow. Our roses are blooming, which means I'm making rose syrup and rose water (à la this method). Hot damn. I'm excited. I'm taking a bit of a break from my "Small Measures with Ashley" posts over on Design Sponge while I finish up the manuscript for book #5. Grace and I have yet to iron out the specifics, but I should be back up and running regularly over there in August, with perhaps a few posts scattered along the way over the summer. Turns out that juggling full-time care for an infant with full-time writing just wasn't flying. I'm actually working from a coffee shop this very moment, stealing minutes away to work while Huxley and Hubs hang at home. We're off to Waynesville tomorrow, for my talk. Hope to perhaps see some of you there. On Sunday, I'm hosting a potluck brunch for my friend Kate's new book, "The Hips Girl's Guide to Homemaking," which I did a giveaway for on here a few weeks back. Should be a good time. If you're a local, and want to make something brunchy and come feast with us, send me an e-mail and we'll see about getting you out here. I'll be chatting about all things "Homemade Living" and beyond at 3:00 p.m. this Saturday, May 21st, at Blue Ridge Books in Waynesville. I'm friendly! I like to chat! I enjoy meeting new people! Do it!!!!!! Come on out, enjoy the bookstore and cafe, and Waynesville's lovely downtown, and say howdy. Hubs & Huxley will be in tow, as well! *That's me in Mallaig, Scotland, in August '06. 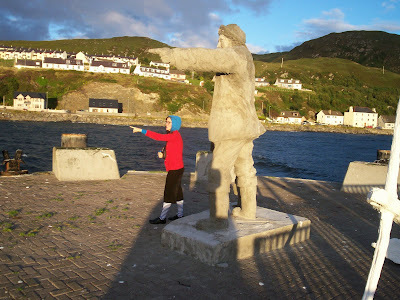 I'm pointing the way for you to go west and come to Blue Ridge Books! Residing smack dab at the intersection of "walk" and "talk" are Kelly Coyne and Erik Knutzen. Creators of the popular DIY and sustainable living blog Root Simple (formerly 'Homegrown Evolution') and the book The Urban Homestead (described by the New York Times as "the contemporary bible on the subject"), Kelly and Erik have, in short, got it goin' on, strong. By their own description, the couple "grow food, keep chickens, brew, bike, bake, and plot revolution from their 1/2-acre farm in the heart of Los Angeles." 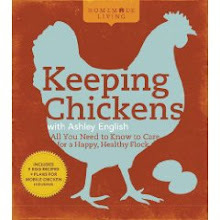 I approached them several years ago, while I was working on my book "Keeping Chickens" with a solicitation as potential candidates for profiling (to which they willingly obliged). Truly kind, generous individuals, when I found out they were working on another book, I knew I wanted to promote it as much as possible. 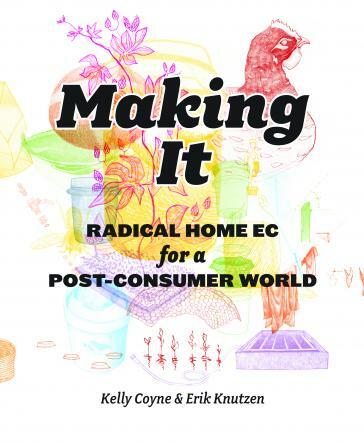 Making It: Radical Home Ec for a Post-Consumer World is their newest publication. The book is packed with projects that'll move you from being a consumer to a producer. From building an oil lamp to creating laundry soap, from fermenting to wild foraging, this book contains all you need to know about keeping a sustainable house, from seasoned folks living the life. Perhaps the most genius aspect of the book is that it's arranged by "time spent on a project and how frequently that project is done over the course of one year" (as detailed by its press release). That way, you know from the onset just how much of a time commitment a project requires. Kelly and Erik's publisher, Rodale, has generously provided me with a copy of Making It for my own use as well as one to give away to a small measure reader. To enter the giveaway, just leave me a comment describing something you currently purchase that you'd love to someday make. For me, it's cat litter. With 5 geriatric cats, we go through a lot of litter (What I wouldn't give to get them to use the 11 acres of forest just beyond the front door! Only one of them currently does this. Sigh). I'd love to learn to make my own biodegradable cat litter. It'll happen. It's only a matter of time. I'll leave the contest open to U.S. residents through next Monday, May 23rd, midnight EST. 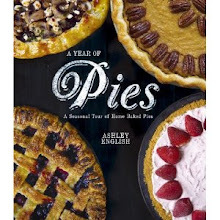 Whether or not you win, or even enter the contest, do take a peek at Kelly and Erik's books and blog. They're clever, compassionate, creative folks that you'll want to get to know. Friends! How is it already Sunday?! I swear, ever since Huxley got sick, I feel like I've been playing catch-up, and losing. That said, I think things are starting to turn around. Our amazing friends Eli (Asheville people, do yourself a favor and go visit his coffee cart, Ursa Minor; tell him I sent ya-and get the Bombay Blast-AMAZING!) and Faryn and their almost two year-old son, Milo (who plays the ukelele!) came over yesterday and helped us put all of our summer garden crops in. I can't truly begin to tell you how very appreciative I am for that. Afterwards, Hubs cooked up some burgers with Hickory Nut Gap Farms beef and russet & sweet potato rosemary home fries. We swilled hard cider and Tibetan ale and N.C. stout and homemade cranberry/lemon/lemon balm-ade and enjoyed a glorious springtime mountain evening. Also, my little sister is visiting. This same little sister, who just completed her sophomore year at Notre Dame University, will be headed to study Art History in Rome this coming August-December. How cool is that? It's wild; I remember with absolute clarity the day she was born, and now she's all grown up and going off to the Eternal City! She helped me plant a mess of herbs yesterday. After that planting, we now have, chez English, the following medicinal and culinary herbs: rosemary, spearmint, chocolate mint, sage (3 types), marjoram, thyme (2 types), parsley, lemon verbena, comfrey, cilantro, tarragon, yarrow, chamomile, lavender, basil, echinacea, lemon balm, and dill. Oh, and my "Small Measures with Ashley" is up over on Design Sponge. This week I'm offering up recipes for an onion relish and a quick green onion refrigerator pickle. Wherever you are, whatever you do today, may it be grand! And I'll be back soon with that giveaway! Lucky #130, Sarah! Thank you everyone for your comments. Sounds like you're a crafty lot, with mile-high building dreams! Glad to be in such aspirational, big-thinking company! I'll be back later with another giveaway. I'm really digging this whole giveaway business. I hope you are, too! Ain't no doubt about it! My mom is the tall(-ish) one on the right in the photo above. SO FIERCE, right??? She rocked the '70's like no one's business. In fact, she rocks the '10's like no one's business, too (this is the woman, mind you, who came to my college graduation in a floor-length cheetah print caftan and has never met a cocktail ring or oversized purse she didn't immediately befriend). My mother is a force to be reckoned with, and she taught me a great deal about standing up for yourself and making sure your voice is heard. She's funny and sassy and affectionate and a great deal more. We have our moments, like all mothers and daughters do, but, now that I'm a mom myself, I understand just a bit more where her ferocious attachment to her children comes from. Lord knows, I love Huxley something wild! Happy Mother's Day, Mom, and happy day to you the lovely mamas of the world, as well! This week saw a series of "firsts" for our little Peanut Sauce. That cough he had last Friday? Well, it turned into his first full-on cold. It was pretty rough going Saturday morning through Wednesday, but he's definitely on the mend now. He's had lots of snuggles, and numerous warm, steamy baths while the essential oil diffuser gently emits eucalyptus oil. He's had the humidifier going and extra layers of clothing on. He's had my full, unwavering attention, and demanded to be almost continually in my arms. As such, this mama is tuckered out! Also, he sat up, fully unassisted, for the first time. He's now sitting up without aid all the time, which is just amazing to me, considering what a helpless, tiny munckin' he used to be! Of course, he still tumbles over, but when he's up, he's really up, finding his center of gravity and learning how to manipulate his body weight to remain upright. Crawling is definitely on the horizon! Finally, he had his first food! Last year, we planted a Seminole Pumpkin start from our friends Beth and Christopher's Red Wing Farm. While most of the pumpkins were consumed, I over-wintered one of them, not intending it to be Huxley's first food, but realizing it made an ideal choice. This particular variety of pumpkin is indigenous to the Americas. I halved it, removed the seeds, roasted it, pureed it, and then let him go to town. While he wasn't what I'd call an instant fan, as the photos above indicate, he had fun exploring and sampling and making a general mess of things. I love that his first form of solid nourishment was an heirloom vegetable, started with love from our friends, nurtured into maturity in our garden, and then stored in our home until the proper time. This whole business of feeding him is so exciting! Food is such a central part of what his father and I focus on in our work and hobbies, and engendering a love of and appreciation for whole foods in Huxley is so important to us. So, it was a big week, on so many levels. We're off to the tailgate market in the morning, on the prowl for more locally grown foods for the little guy. 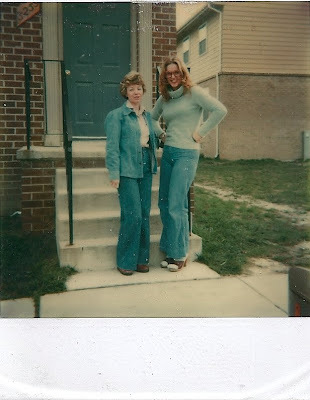 Sunday we'll be having my mom and grandmother over for our first collective Mother's Day! It's still so new and fresh to me to be a mother. I keep finding myself shaking my head in incredulity and amazement that I'm someone's "mom." That I get to have that sort of influence, and responsibility, over the direction of someone's life. I'm so thankful Hubs and I have Huxley in our lives. He makes the days better, and nights brighter, and the "firsts" that much more amazing. These future apples and blackberries are making my mind turn to pies, cobblers, crisps, jams, and fruit butters, not to mention straight-from-the-tree/off-the-vine eats! Here's some images of the Purple Martin house that Hubs recently built. Pretty spiffy, eh? He parked it atop the spot on our white birch tree where a branch snapped off during our '09 December Snowpocalypse. I'm diggin' it. We'll see if the Purple Martin's dig it, too! Hubs has been on a building bonanza lately. Just yesterday, he hung up an incredible Purple Martin birdhouse he'd constructed over the past week (photo forthcoming). To that project, I can add these others that he's worked on these past few months: cold frame from old windows, pea trellis and planter, chicken coop reinforcing (we now have 'primary', 'secondary', and 'tertiary' lines of defense against a marauding raccoon from this past winter) that is just as beautiful as it is functional and sturdy, and gorgeous wooden shelves mounted in the upstairs hall for our books on homesteading, health, gardening, DIY projects, and fiction. He's got something in the works for keeping birds off of our blueberry bushes (we now have 12 bushes on "Blueberry Hill"!!!) and has countless additional ideas for projects all over the property. Which is why Building Country Comforts is so handy. A reissued combination of two books authors Robert Inwood and Christian Bruyère penned in the 1970's, this book has it all. Rife with ideas, you'll find something in here no matter the size of your property, just as we have. From wood furnaces to composting toilets, if you've got some land, this book has something for you. And, yours truly wrote the forward. I was approached by an editor at Sterling Books this past summer asking if I might be interested in providing some introductory text for the book. Given its subject matter, I leapt at the offer. 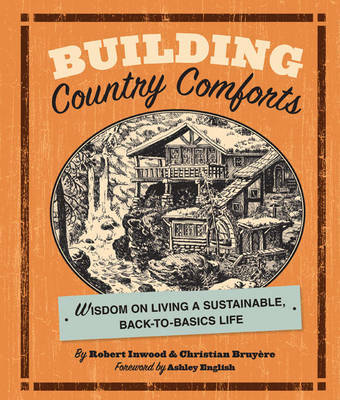 And, as the forward author, I was given several complimentary copies of Building Country Comforts, one of which I'd love to bestow on a small measure reader. So, to enter, just tell me about a building project you'd like to do. It could be terracing your hillside (that's mine, along with building an outdoor cedar hot tub/sauna and a treehouse for Huxley), or creating a compost bin or erecting a chicken coop or making a pizza oven. Or something smaller, like making a bookshelf for your own growing collection of homesteading books, or a spice rack, for all the delicious herbs and spices you've been collecting. Anything, really. I'll leave the contest open until next Monday, the 9th, at midnight EST. Go try your hand, at winning, and at building something! Hubs and I will assuredly be doing the same! Daisy Diver, random number #87! Thank you again to all who participated. This giveaway business is a good time, right? To that end, let's keep the party going! As soon as Huxley goes down for a nap today (poor fella's cough on Friday morphed into much more the next day and hasn't let up yet), I'll be back with something else for you to win! Today I bring you a guest post from Alexis Siemons, of the delightfully tea-centric blog, Teaspoons & Petals. A freelance writer, creative business consultant, and tea writer, Alexis propositioned me with the idea of posting on small measure several months back. I'd never done any guest posting on here before, love what she writes about ,and thought "why not?" 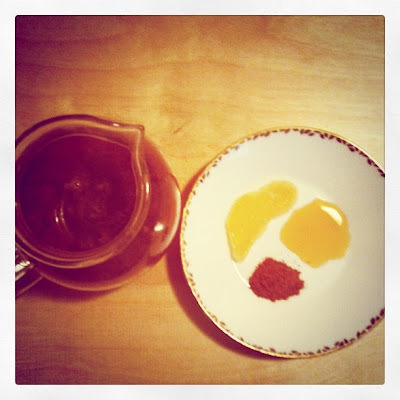 And so, here's Alexis, sharing ideas about two of my favorite things-tea and honey! As I celebrate spring rains and blossoming buds, the showers and clouds often chill me to the core. I look to my kettle and steamy sips to warm my soul. So, until we settle into summer sun, here are two of my favorite herbal blends that brighten my spirit with special, simple ingredients: Orange Blossom Honey with Dried Rose Buds & Hibiscus Flowers and Chestnut Honey with Candied Ginger & Cinnamon. 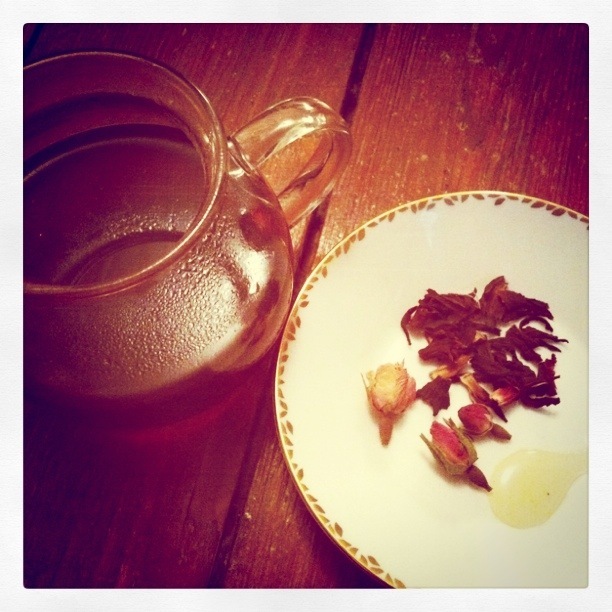 -Bring a cup of water to a boil and add dried rose petals and dried hibiscus flowers. Steep for 5-7 minutes. -Don’t step away as you steep. Instead, watch the hibiscus flowers paint your water a vibrant shade of red (such a visual treat). -Strain the petals and hibiscus flowers. -Let water cool until its ready to sip. Stir in a spoonful of orange blossom honey. *First sip: the bright, sweet burst from the orange blossom honey balances the bold, tart flavor of the hibiscus. The hint of rose buds offers a subtle floral fragrance. A refreshing herbal steep that will lift your spirits in one sip. 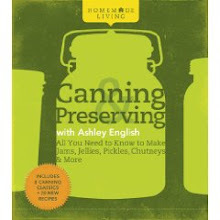 -Bring a cup of water to a boil and add sliced, candied ginger. Steep for 10 minutes. Let the water cool until it’s ready to sip, and then add a dab of chestnut honey. *First sip: The slightly sweet candied ginger adds a delicate spice. The Chestnut Honey is the star of the show with a deep, smoky flavor that is wonderfully complex. The taste reminds me of leather, tobacco and a campfire in the fall forest. The deep, dark amber honey is rich and savory. Perfect for an evening sip. Swap the candied ginger with fresh slices for a spicier sip. Add rooibos tea to intensify the earthy quality of this blend. Let your edible imagination take you on a journey as you dream up herbal blends that make your taste buds swoon. Start out with simple steeps of herbs and honey (mint is a great first choice), and soon enough you’ll be transforming your kitchen into a culinary lab of steeps and sips. Thanks, Alexis! And, now that I've opened the site to others, what about you? Got anything you'd like to share with small measure readers? Send me a query and we'll chat about it. I'm not making any promises, but if your blog jives with mine and I like the idea, we might just be able to make something happen.